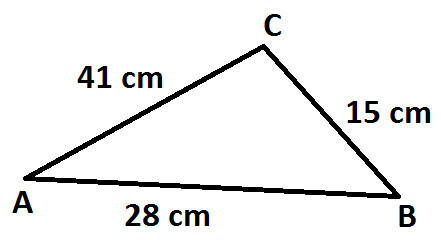 How to find Area of Triangle ? But you may encounter some situation where you do not have the value of altitude. So in such situation, where altitude is unknown, Heron's formula is used to calculate Area of Triangle. Heron's Formula was given by a famous Egyptian Mathematician Heron in about 10AD and therefore this formula was also named after him.